I have thought about this a lot. I’ve spent years working on answers and trying to put some of these answers into practice, but without success. While my focus now are the Millennials and the iGens, which includes kids born during the 30 years that span from 1982 to 2012, I will share a true story at a time when the concern was the “unchurched” in general. If you are wondering why my shift to this younger group in my concerns, go back and read my Part I of this series. In the early to mid-1990s, I was an elder in a mid-sized (300 member) evangelical church. There were several articles published during that time, which focused on the growing number of “unchurched” in America. Because of this, it became a concern of our church, especially the pastor. We started to brainstorm what we, as a church, could do about this problem. There were thoughts about door-to-door evangelistic thrust. One idea (not mine) was a float representing our church in the Forth of July parade. That idea came to reality as an exercise in vanity (in my humble opinion). It required a lot of work. There was another effort and it was to create a preschool program for the public. That project was probably more successful. It took a huge amount of work, getting a state license, getting background checks and etc. for those involved. But I think it did bear some fruit. However, I felt that something was very seriously wrong in our thinking as I observed the discussions month after month. I suggested that we had to think far outside the box to have any hope of reaching this group of people. Most of this group of unchurched had been raised in the church, but had voted with their feet to leave. We can’t bring them back by doing the same things they had originally rejected. I met with the pastor and described a scheme I came up with, to reach these people. I tried to put myself in the shoes of those who were not coming to church on Sunday morning. I had spent years researching church structure, from the first churches during the Ante Pacem (time before 313 AD, when Constantine declared Christianity the official religion of the Roman Empire). Much of this research became part of the base of my book Butterflies in the Belfry. What I discovered was a wide spectrum of church experiences in the early history, and very few mandates for church structure. However, culture (not always so pure culture) had a drastic impact on the Church over time. In my plan, I wanted to go to where the unchurched lived (metaphorically). I decided to create a “church” that met in the main town bar on Saturday night (their busiest night). I went to that bar several times and just sat around and spoke to people. I spoke to the bar manager and described my idea. He was intrigued (this was in a relative conservative area when Christians did not drink alcohol and would never, ever be seen in a bar), and gave me the permission to do this. The bar had a line of walled booths, with sliding doors for private parties. Each booth area would hold about 5-7 people. My plan was to show up each week, take a booth. I envisioned that this is a new kind of church would have a picture of beer on the table and where people were welcomed to sit and talk about their personal lives. I had already been listening and most were already talking about their personal lives, especially after a few drinks. In my bar church, after we discussed each other’s personal problems; being laid off, wife leaving, kids on drugs, or whatever, we would then turn to scripture in an impromptu manner. This was at least my plan. With the pastor’s support, I presented this idea to the rest of the elders. 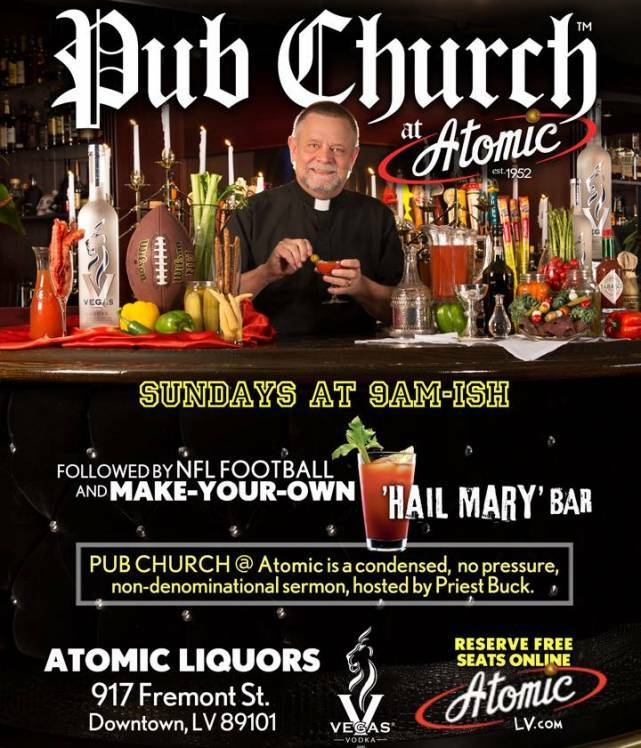 The point I wanted to make was that this bar church, would be a “church plant” by this established evangelical church. This bar church would be under the supervision of the evangelical church’s board of elders. The board of elders, overwhelming, voted to not support my idea. I gave up on that project before I got it off the ground. But I decided to take another direction. I noticed that the public library had adult education courses on math, history, how to do your taxes, and etc. I decided to create a class on, the comparison of the philosophical perspectives between eastern (Hinduism, Buddhism and New Age Spirituality) vs western (Christian) traditions. To my surprise the library allowed this class. I did this class completely on my own for 12 weeks without even mentioning to people at my church, fearing their rejection. I thought it was successful. But I started to become disillusioned with the traditional church. This was after I had a crisis of faith a decade earlier and had come back to the church. But I felt this sense of hopelessness growing. It really was a problem of wineskins (look that up if you are not familiar with the concept). I must admit that something is wrong with me. I am a thinker, writer and idea person. But I am poor at implementing ideas. I lack the gift of charisma and the ability to get people, especially church people, to follow my ideas. So, I gave up. I did focus on writing my book with the hopes of reaching those, like me, who have become disillusioned with the faith or the Church. So now, back to the Millennials and the iGens. That group, as I have shared in m previous posting, is leaving the church in droves. The American church is on death row. We must first look at the whys. Because I don’t want to take up more time here writing about all the whys, and because others have done a good job writing about them, I will give two links where this question is answered: 1 (http://www.recklesslyalive.com/12-reasons-millennials-are-over-church/ ) and 2 ( https://exponential.org/5-things-millennials-wish-the-church-would-be/ ). From these links and other places, I want to just focus on a few of the important reasons. Then I want to translate this into what the post-church, Church, should look like in my next post. I keep hearing the following three themes as to why the young are leaving; A) lack of authenticity or honestly. B) not making important, what Jesus made important, C) not having the freedom to discuss tough things at church, and D) being far too demanding of our time. Evangelicalism, as just about all previous Christian traditions eventually become quite dishonest, emotionally. Everyone on the church wants, so much, to look like decent people that they try their best to bury their faults. They feel that they must have the exact right doctrines and culturally approved behavior. It becomes such an artform of pretense, that the younger generations see through it and it makes them nauseous. They want no part of the Christian games. They also see a real inconsistency between Biblical ideals and the group’s aspirations. The teachings of Jesus are about compassion, caring, sacrifice and the devaluing of the material (meaning money, not the physical earth). The Bible sums up its greatest agenda in the verse, Micah 6:8: “What does the Lord require of you but to do justice, and to love kindness, and to walk humbly with your God?” Yet, the American church is often consumed in political conservatism. This conservatism now means hawkish on war, anti-people who don’t follow your sub-cultural mores, and now, “anti vagrant.” I use vagrant in the broadest terms to include refugees, homeless, immigrants, mentally ill, drug addicted, etc. This political conservatism also values material possessions. The young people see clearly the contrast between what Jesus taught and what the church often emphasizes. The other things that relates to this idea of authenticity, is the importance of talking about hard things within the context of the church. When I was in Minnesota, I was the main adult Sunday school teacher in a very large church. For some strange reason, as soon as I came to our little island, I was not seen as qualified to be a teacher. I am often seen as unspiritual because I don’t follow the evangelical mores. I am also not an effective self-promoter. The last time I attempted to teach a Sunday school class, was a high school class at my previous church. I wanted to have a discussion on the real reasons the kids believed in God and in the Christian faith. I discovered, as I expected, that most of the class believed in Christianity only because they “ought to.” In other words, they were raised in the church and that was their only basis of faith. That is a horrible foundation of faith and it will not sustain anyone. I thought the class was going swell until the pastor got work and quickly ended my Sunday school teaching career, once and for all. For reasons that I can’t explain, my new church has never allowed me to teach Sunday school, even though I had asked to several times when I first came to it. But I digress. But, I believe these younger generations are desperate for this stirring of their thinking. If it is not stirred within the walls of a church, where possible good answer can be given, it will certainly be stirred outside the church. In the next post I will finally get into what the new church must look like if this younger generation is to be saved (I don’t mean “saved from hell’s fire”). But I will say at this juncture is that this new church must stop approaching every problem with time-consuming projects. This generation would much rather have a spontaneous relationship-centered meeting. A group of this new church people and their unbelieving friends, spontaneously going out to a coffee shop or bar and talking about their lives, rather than an “evangelistic thrust” project. P.S. Once again I only had time to type as fast as I could. I will proofread tomorrow. If I had to proofread every writing project before I posted it, I would never have the chance to write. I like the idea of you Bar Church. Having spent so many of my Friday/Saturday nights in one in my 20-30s I get that. I read a book last summer on a burnt out pastor that bought or ran a bar in Montana. It was his vision of a new church. Can’t remember the name. I help lead ALPHA courses in our local church, Ive often thought of taking it outside those walls to a bar/ Resteraunt/coffee house to reach out to those uncomfortable with going to a church. But lacked the “- – – -“ dont really know exactly to try it. One idea (not mine) was a float representing our church in the Forth of July parade. That idea came to reality as an exercise in vanity (in my humble opinion). It required a lot of work. Ever heard of “The Gospel Blimp” by Joseph Bayly? Since the 2016 elections, I’ve always been puzzled by how many Christians went “Court Evangelical”, taking the Mark of the Trump on Forehead and Right Hand just like something out of a bad Christian Apocalyptic/End Times movie. The conclusion I’m coming to is that there is something about American Evangelical culture that predisposes them towards Trumpism, “grooming” them like a predator grooming a victim. Might be an opportunity for some investigation/analysis along those lines.